Snrky: I get to play Martin Short in the remake. I get to play Martin Short in the remake. That's right. We're so hip I made a Martin Short joke. Might even be a Joe Dante joke, depending on how you approach the thing. Snarky: She said we should practice inner sourcing. 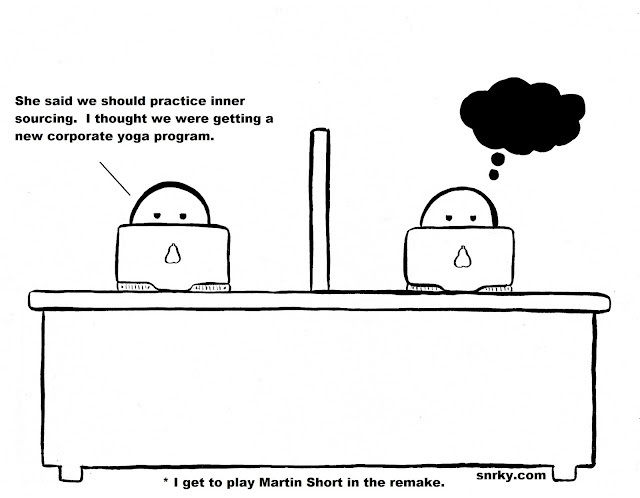 I thought we were getting a new corporate yoga program. Title: I get to play Martin Short in the remake.